br/>Original watercolor on 300# Arches Paper. 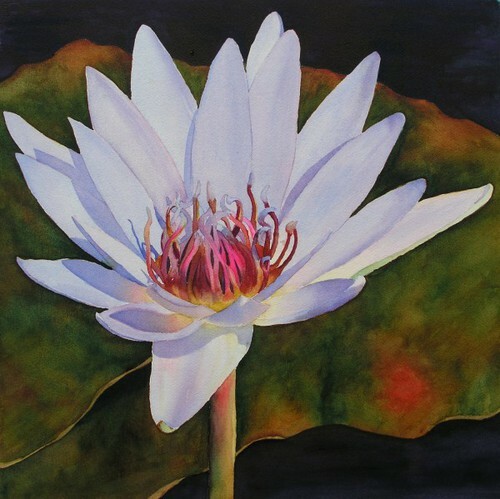 The painting was inspired by waterlilies at a nearby botanical garden, and measures 21 x 21, matted to 27x27. This painting is being sold unframed.